Guest Blogger: Anthony Debboli, Pharm.D. Candidate 2013 ACPHS. Guest posts by Resident and Intern Pharmacists are reviewed, edited, and approved for accuracy by Dr. Jeffrey Fudin. The Department of Health will overhaul the current online controlled substance reporting system to track the prescription and dispensing of controlled substances. This should virtually eliminate “doctor-shoppers,” as all physicians will have access and must consult these records before initiating a controlled substance prescription. As doctors are currently becoming even busier with patients, physicians can allow their office staff to consult the program on their behalf. Part of this overhaul will allow pharmacists to view and update the database in “real-time”. The current system does not allow pharmacists to enter or view this information that is so vital to dispensing and tracking opioids. The new law requires that prescribers consult this database to see if a patient has filled any scheduled controlled substances before giving the patient a prescription. Pharmacists will consult the database upon receiving a prescription, and update this database immediately after a patient fills a prescription for any scheduled controlled substance. Prescribers will be able to see that a patient filled a controlled substance almost instantly after the pharmacist updates the system. When it is not reasonably possible for a prescriber to access the system; the patient may be given a prescription with a supply no greater than 5 days. Effective January, 2015, all controlled substances will be prescribed electronically, thereby eliminating paper prescription pads. This will eradicate the use of forged hand written prescriptions as pads will no longer be used for controlled substances. Electronic prescriptions will be sent to pharmacies protected by an electronic encryption. The potential for transcription errors should also be virtually eliminated; this should save time as pharmacists will not need to contact prescribers due to illegible handwriting. It should also decrease medication related errors resulting from illegible handwritten prescriptions. All formulations of hydrocodone will now be treated as CII substances in NYS; it is currently a federal CIII. This means that they will only receive enough for 30 days and will not be eligible for refills. Hydrocodone is currently the most prescribed medication nationwide, even topping blood pressure medications like lisinopril and cholesterol medications like simvastatin. Under NYS law, however, CII substances can be prescribed up to 180 days with the use of a diagnoses code provided on the prescription by the prescriber. Tramadol will also be changed to a CIV substance in NYS; it is currently a federally non-scheduled drug. Tramadol’s mu-opioid receptor binding affinity is 6,000 times less than morphine which is quite significant; however, DEA still considers this a drug of concern as it has been abused by taking large quantities at a time. As a CIV, this medication will still be able to written for up to a 90 day supply with allowable refills. Of note, the DEA changed carisoprodol, a muscle relaxer also originally federally non-scheduled, to a CIV medication on effective January 11, 2012. This was due to the potential abusive and addictive properties of one of its metabolites, meprobamate, which is itself a federal CIV. 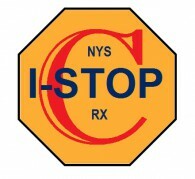 The NYS DOH’s Prescription Pain Medication Awareness workgroup will be responsible for (1) recommending continuing education for practitioners and pharmacists on pain management issues, (2) protecting and promoting access by patients with a legitimate need for controlled substances, (3) implementation of the I-STOP provisions and (4) inclusion of additional controlled substances in the consultation requirements of I-STOP. This awareness workgroup will be comprised of a multidisciplinary professional group including physicians, pharmacists, consumer advocacy organizations, regulatory agencies, and law enforcement. Currently controlled substances can only be surrendered at sanctioned “drug take back programs”. This aspect of the bill will create disposal sites at various local police stations and state trooper headquarters. Controlled substances can be voluntarily surrendered at designated sites along with other medications, inhalers, topical creams, and gels. These disposal sites will not take back syringes or needles. Pharmacies still will not accept medications for return or disposal. As of this publication date, except for e-prescribing, an exact date for implementation has not been publicized. I am currently waiting for a response from the Governor’s Office on these dates including potential involvement of federal facilities, as I suspect and increase desire to obtain scheduled drugs from neighboring states, VA, and military hospitals/clinics. This blog will be updated as this information becomes available. Further information on ISTOP can be found online along with information on the safe disposal program. Legislative Summary Memo, prepared by the Pharmacists’ Society of the State of New York (PSSNY). Presented at the September 2012 New York State Pharmacy Conference Meeting. Biosketch: Anthony Debboli is a Student Pharmacist at the Albany College of Pharmacy and Health Sciences, PY4. He currently works at Samaritan Hospital in Troy part time as a Student Intern. 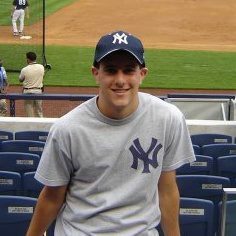 When not practicing pharmacy Anthony enjoys golfing, playing soccer, and is a passionate NY Giants and NY Yankees fan. I was declared permanently, partially disabled in 1994 after a fall at work. At that time I started taking darvocet so I could continue working. Then when darvocet was taken off the market I was changed over to hydrocodone. I suffer from chronic pain. I retired in 2012 with over 32 yrs with my employer. I have never Dr. shopped, bought or sold any prescription and have abided by my prescriptions. I have never even tried marijuana. Now my doctor is reducing my hydrocodone thanks to ISTOP. This is totally unfair to people who have chronic pain and a legitimate reason for taking pain medicine. If as you say, your pain and behavior are legitimate, I fail to see why you feel that ISTOP is “unfair”. I for one have learned that certain patients were seeing two or three providers and obtaining opioids from each of them without the other knowing. This is a dangerous situation for patient, provider, and public health. I for one think that ISTOP has been a fantastic addition to our monitoring process. It does not affect my legitimate “opioid-requiring” patients that have chronic pain and they are glad I’m weeding out those that have been misusing the system. Dr Fudin ISTOP will not improve medication awareness or the education of providers in NYS. We all know that medical organizations in NYS wrote to the Governor and legislature opposing mandatory education in pain care. We all know doctors and providers haven’t volunteered to obtain education in pain care and ISTOP doesn’t require any doctors to have any education in pain care. Earlier this year, the FDA reported on opioids REMS- a 15% compliance rate- poor by anyone’s standards. Doctors wish to continue to do as they please and remain uneducated when it comes to pain care and they remain uncaring towards people in pain. It wasn’t providers in NYS getting legislators to sign onto legislation requiring education in pain care- it was yours truly. As Dr Virchow said diseases have two causes- pathological and politcal. The disease of poor pain care is due to the uncaring politics of providers in NYS. It’s hard to believe! Pittman D, Fiore K. FDA: Don’t Tighten Vicodin Regulation. Medpage Today, October 25, 2012. Thank you for this excellent post! It seems as though ISTOP will be a tremendous asset for NYS and a step in the right direction, especially closing the loophole with hydrocodone prescriptions. This should prove to be a model program. I presume that the weakest chain link will be inflow of schedule drugs from contiguous states and federal institutions such as military and VA Hospitals. Looking ahead, if NYS lawmakers can work to tighten up the weak links with bordering states and the feds, I suspect our state will take the lead in reigning in some of the diversion.